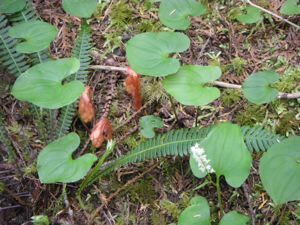 Olympic National Park is a big park. Our trip planner lets you make the most of your stay whether you are here for a week or just out for a day trip. 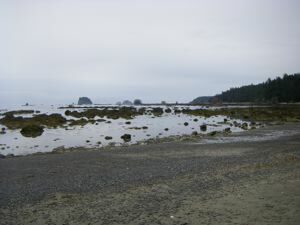 These are low tides of under three feet at least two hours after sunrise or before sunset. 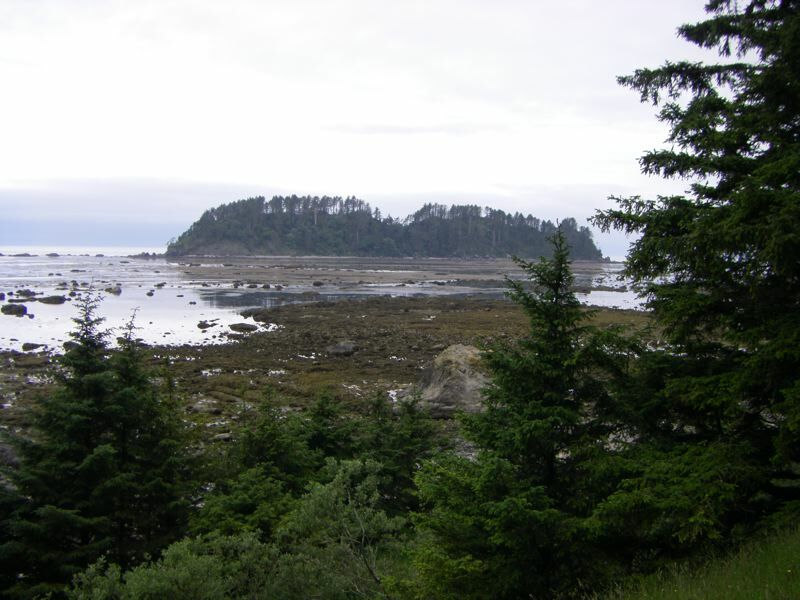 For more on Cape Alava, see our Cape Alava page. 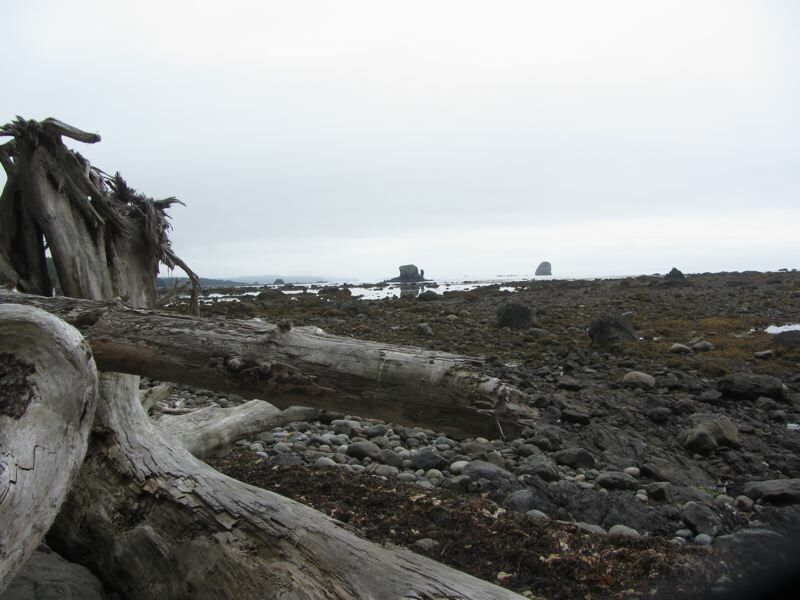 We went back to Cape Alava and took a long walk, but we didn't do the full nine mile loop. We had intended to. Cape Alava is a two hour or so drive from Port Angeles, so we always try to spend a full day there, hiking as much as we can. People tend to think that Seattle is on the west coast, but then, you have to drive another three hours west to get to Port Angeles. 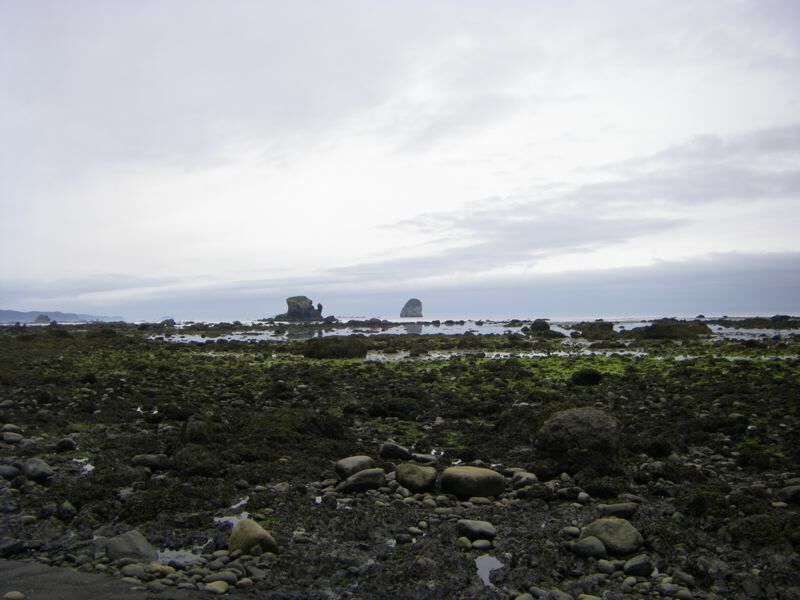 By the time you've driven another two hours west, you expect to be on the ocean, but at Cape Alava there is another hour's walk. 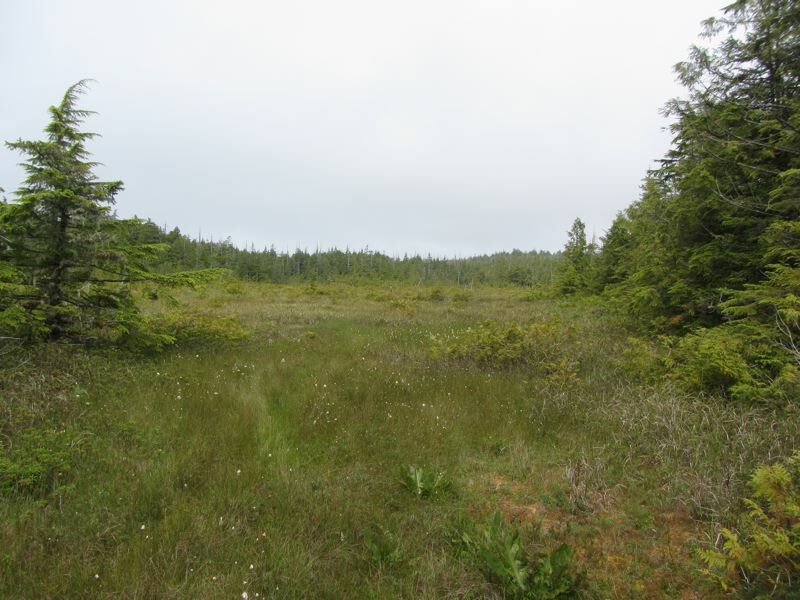 It's a beautiful walk through forest and meadows. Back until the 1980s, it was a walk through mud. 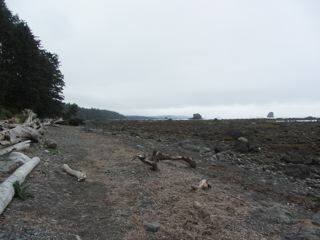 Then the park service put in a boardwalk, but more recently they've been replacing the boardwalk with a gravel aggregate. 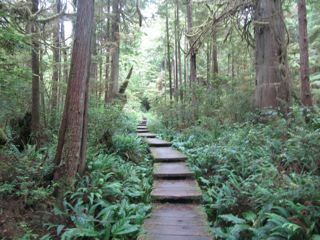 The trail is lined with salal and ferns and skunk cabbage and every other type of northwest rain forest plant. 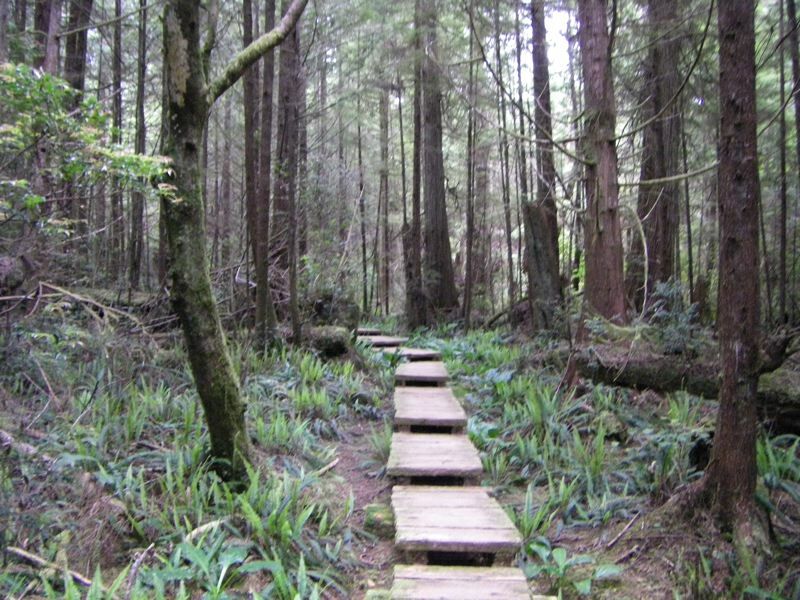 If you pay attention, you'll see some big old trees that rival any in the Hoh. 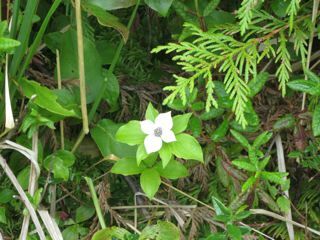 The meadow is old grassland with the grasses going to seed and a few pacific dogwood blossoms still showing. The beach itself is at the end of the earth. 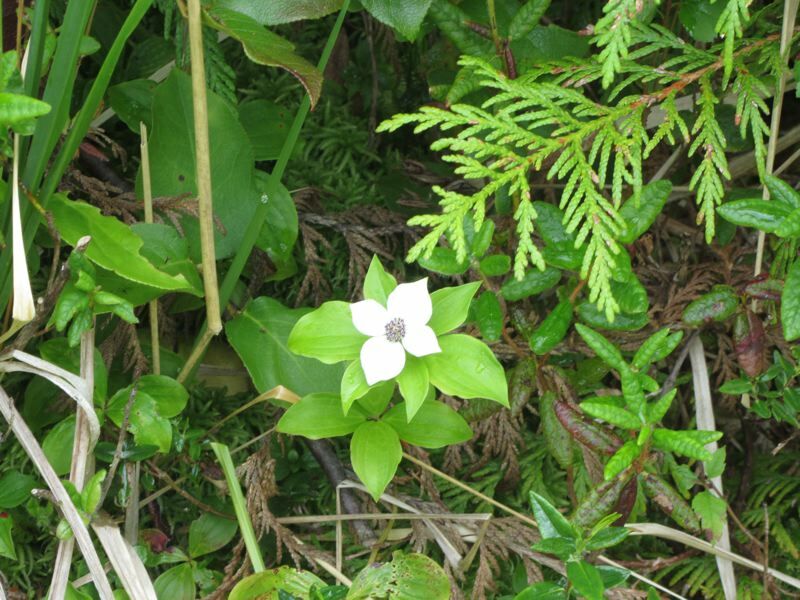 We made our way down and were pleasantly surprised. The waters of the Pacific were still a fair ways off, but we were on the water's edge following a good path of sand, stones and dried out seaweed. We headed south towards Sand Point, but all too soon the trail dissolved into large rocks and small stones decorated with wet seaweed. It was rough going, and we were more tired than we had thought. We gave up well before the first headland. 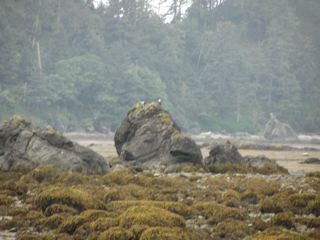 So, we stopped and ate our lunch and watched the eagles on the rocks. 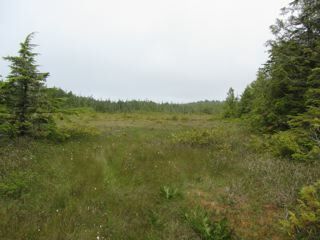 We explored a bit, but the trail ahead was rough going, more than we could take for the hour or so it would take. 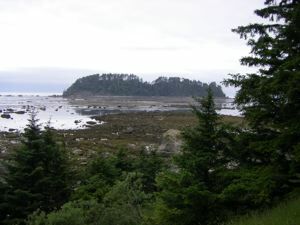 We weren't even sure we could make it around the headland. Sometimes you have to accept your limits, so we made our way back to the car for a seven mile hike, rather than the full nine plus. 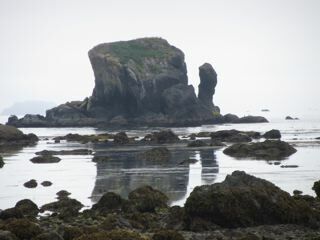 All told, it was a good day's outing, and it was great to see the Pacific Ocean at Cape Alava again. We were out at Cape Alava to take advantage of the good tides. The trail is much as we remembered it, amazingly green, rising and falling, then opening out to the meadows before descending to the sea. The park service has done some good work repairing the boardwalks which were getting a bit spotty, so the three plus mile walk from the Ozette Ranger Station to Cape Alava was easier than the last time, but the three miles along the beach from Cape Alava to Sand Point were harder. The beach was rough going with much more driftwood and much less sand. 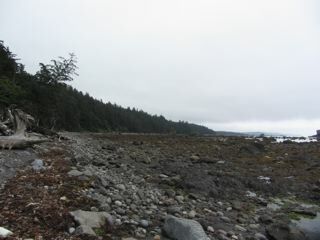 Much of the walk was on rocks and stones. 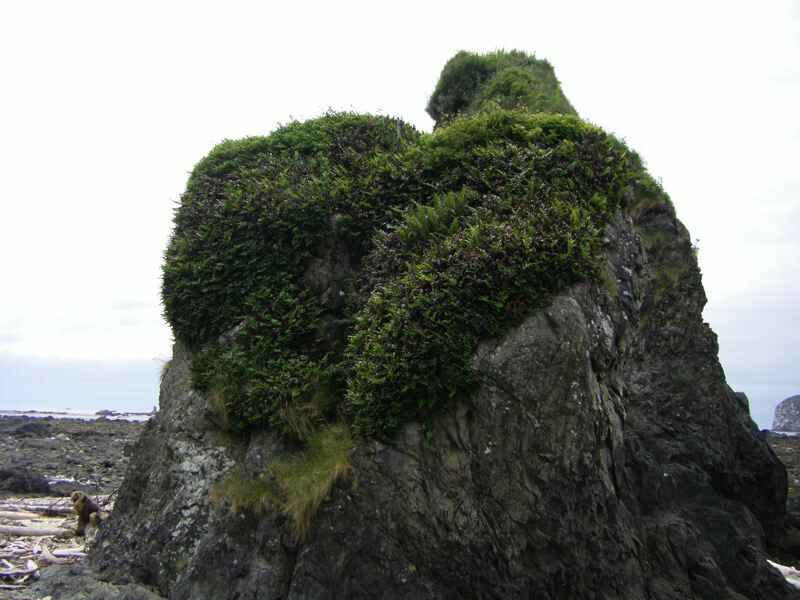 At least the seaweed was dry, and nothing was very slippery. We made our way from fallen tree to fallen tree, passing through their branches like the ribs of a great carcass. There were no stretches of smooth sand until we were nearly at Sand Point. Yes, the tide was out. 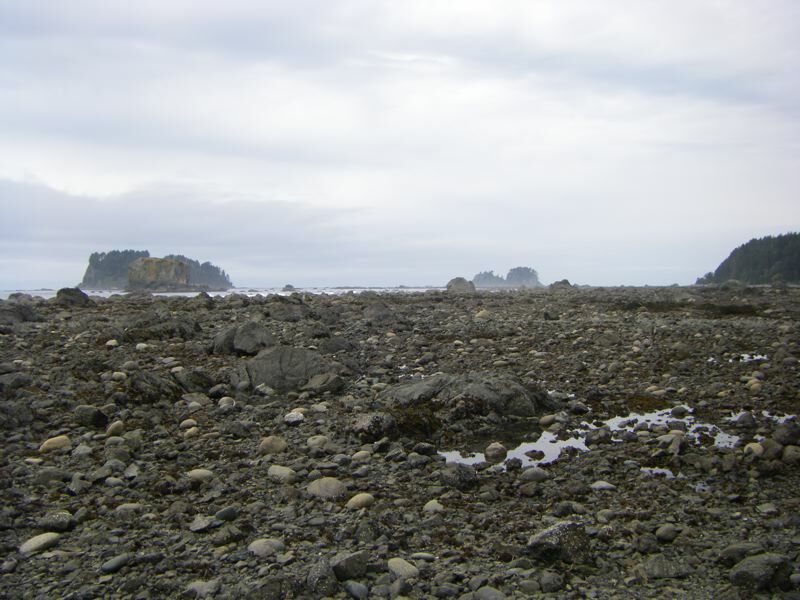 We were just out at Cape Alava and took the 9+ mile loop from the Lake Ozette ranger station to Cape Alava, then down along the beach to Sand Point, and then back inland to the ranger station. We went at a 0.5 foot low tide, but even then, it wasn't easy going, especially with all the fallen trees along the northern part of the beach hike. 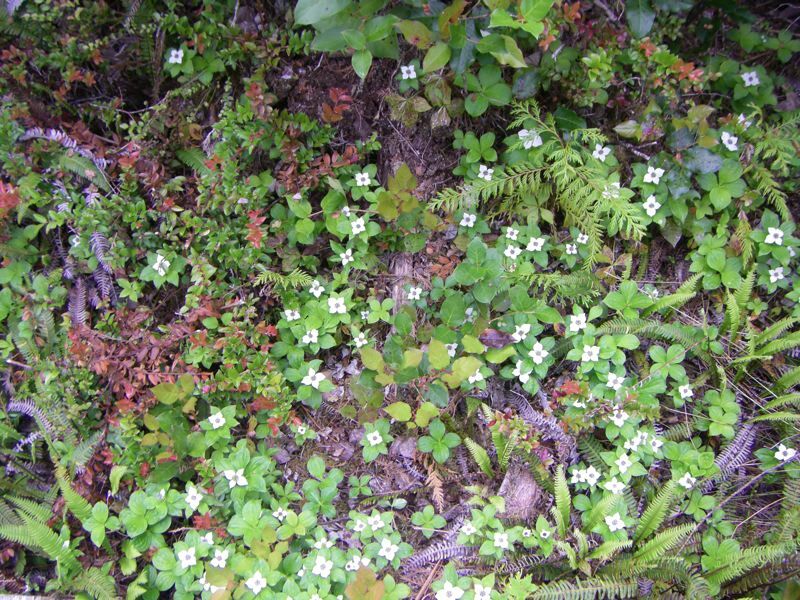 Ahlstrom's meadow was in bloom, the ocean lovely and mysterious, and this time, we found the mysterious petroglyphs. 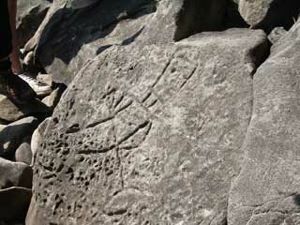 The last time we looked, even the ranger was stumped, but this time, there was a school group, and there were the petroglyphs, graven on the rocks. 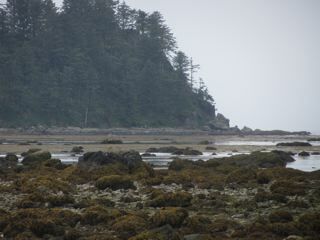 To find out more, and see our new panorama of the beach, read our Kaleberg Report on Cape Alava. 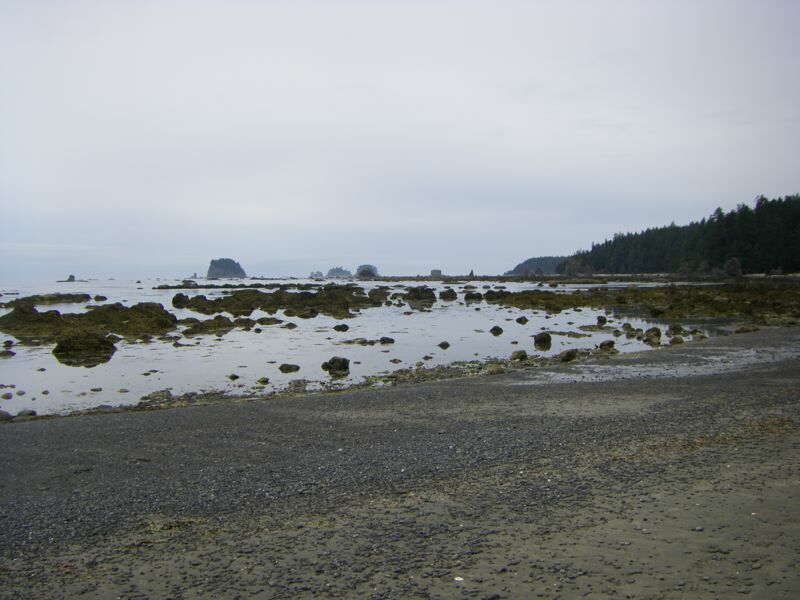 We've updated the tide tables for Cape Alava, La Push (Mora and Third Beach) and for the Dungeness Spit. We're trying out a new display format with less irrelevant cruft, and the good hiking days marked out in green. We often like to hike out the lighthouse at Dungeness Spit or take the Cape Alava - Sandy Point hike out near the northwest corner. 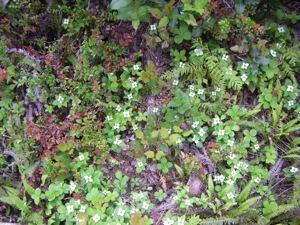 These hikes take you a long way along the water in the Strait of San Juan de Fuca or along the Pacific, and while they are always wonderful hikes, they are best done when the tide is low and the sun is in the sky. 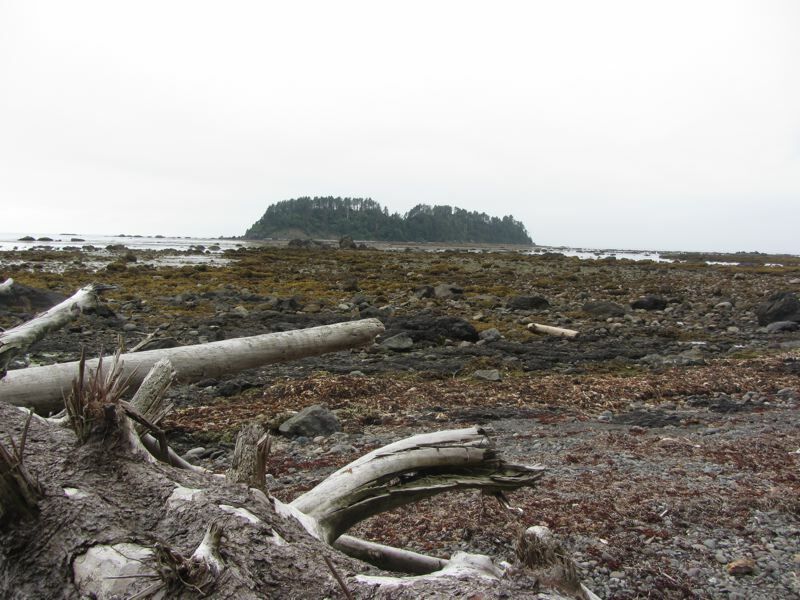 Sometimes we check the tide tables to figure out when to go hiking, but sometimes we forget to check the tide tables, and we don't get to some of our favorite beaches. 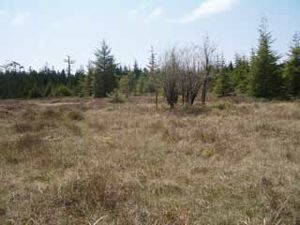 Now, Kaleberg Symbionts has a new software solution to this problem. It's a simple program called TideCal for Macintosh users that lets you generate an iCal calendar file with just the tides you want. 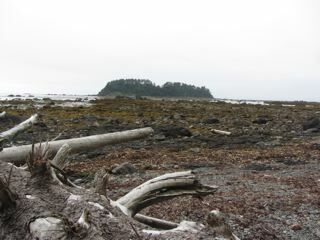 We want low tides, between noon and 3PM, so we can hike and get back in time for dinner. In general, tides under 3 feet are best, so we've put those tides on our calendar. 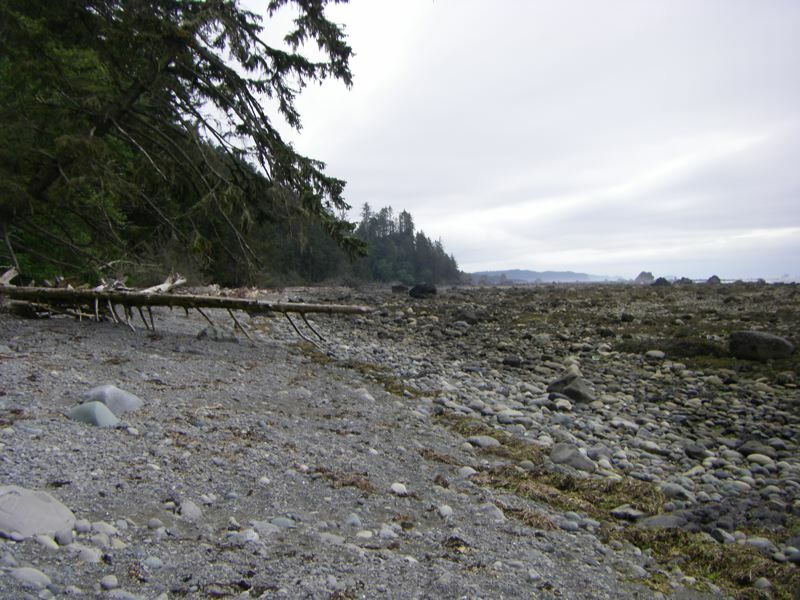 Maybe we won't take advantage of one particular tide, but now we won't miss out just because we forgot to check the tide tables. While there are many programs for producing tide tables, there do not seem to be any programs for finding a suitable tide. 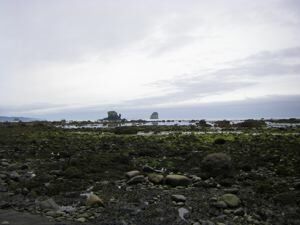 For example, if you want a low tide during the day for exploring Cape Alava or walking the Dungeness Spit, you have to wade through listings of high and low tides. Tide Finder program is based on FlaterCo's XTide 2.6 package, and provides a Mac OS X friendly user interface for specifying a tide search. You specify a tide reporting station, a range of dates, a desired range of times and the desired tides, high or low. It gives you a hit list, a calendar and a tide graph. 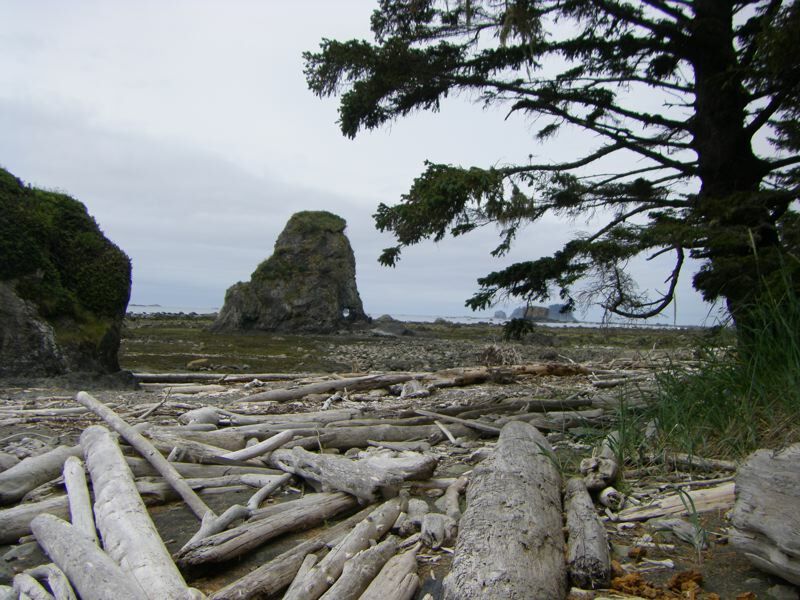 Cape Alava is at the far western edge of the North Olympic Peninsula, so it is a bit of a drive. However, it is well worth it. 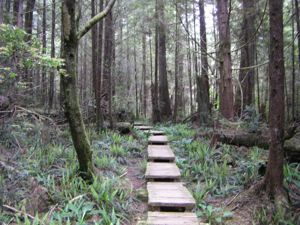 There is a hike from the corner of Lake Ozette, through rainforest and meadow to the Cape, then south along the beaches with their mysterious sea stacks and tide pools to Sandy Point, and then back along a different trail to the ranger station. 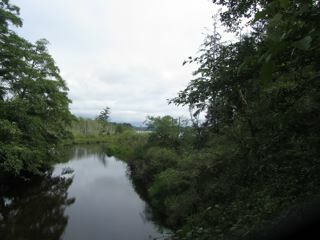 To the right, you can see one of the seasonal charms of the area. The deer, even the fawns, are relatively unperturbed by overly excited photographers. 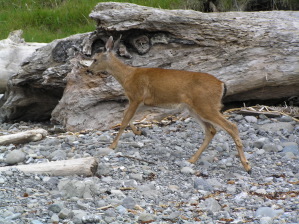 We saw two fawns with their mother (presumably), and we saw a river otter on the Hoko-Ozette Road back home. 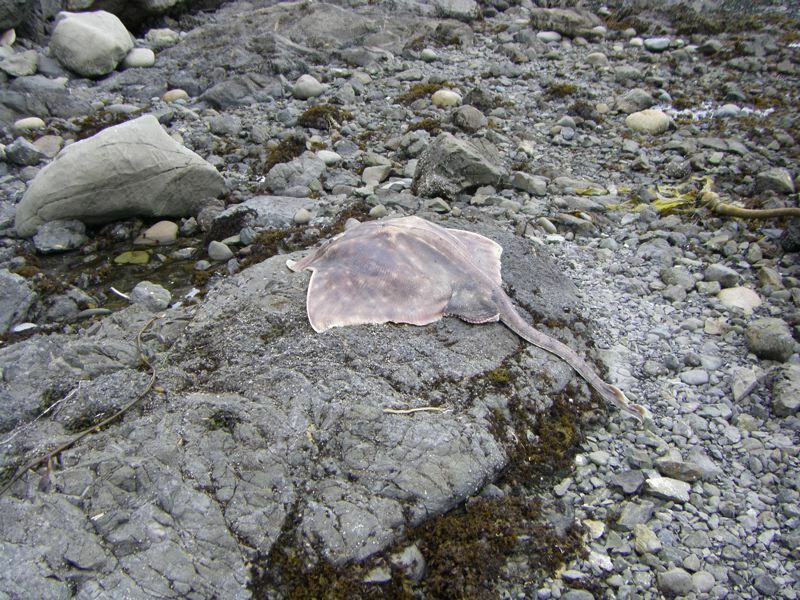 We also saw a little salt water turtle and a large striped frog. Today, the walk was easy. 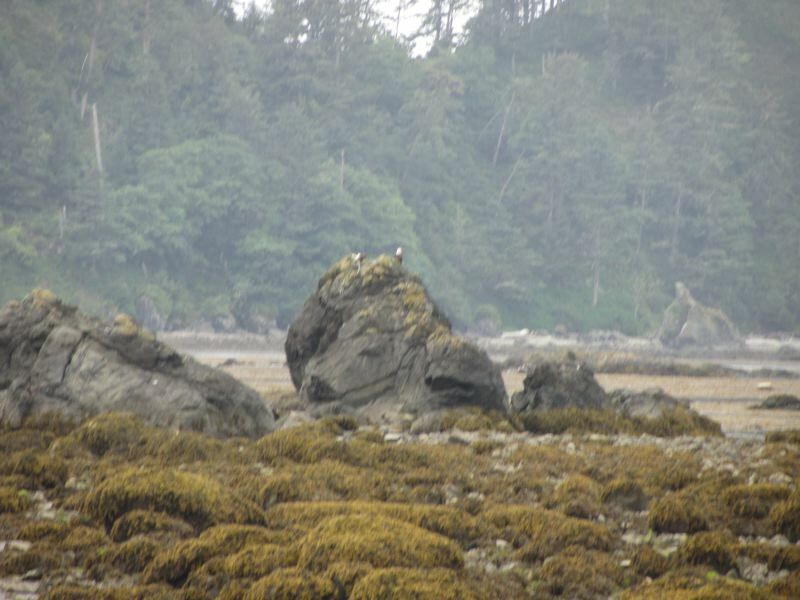 The tide was low, well below one foot while we were there, so it was easy to go rock hopping around the points. It was also dry, so the boardwalks weren't slippery. Finally, it wasn't too sunny, because the beach can get a bit oppressive with the full sun bouncing off the Pacific. We have as yet to find the petroglyphs, but we'll keep looking. For more on the trail, see our web page for Cape Alava.